Moving Your Wardrobe | Cummings Moving Co.
One of the largest pieces of furniture in the bedroom is your wardrobe and is undoubtedly one of the more challenging items to move. Here are some tips on how to move this beast out of your home, starting with the packing materials needed up until you get to your new location. 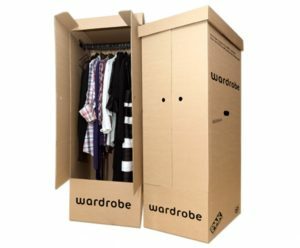 Whether you plan on moving your big wardrobe on your own or if you have recruited some help, we have provided some useful and simple ideas to make this process an easy one. Have a plan in place so that you know exactly what its going to take to get your wardrobe into its new home. Make sure to take measurements to make certain you will be able to get it OUT of place A and INTO place B. If there are stairs, tight corners, low ceilings, elevators, or weight limits, make sure to take all this into account. You will need various moving supplies such as a dolly, moving boxes, bubble wrap, straps, wardrobe boxes, foam (if glass is involved), cardboard boxes, permanent marker, tape, scissors, cling wrap, ziploc baggies and tools to disassemble it if needed. These moving supplies will help you with the packing process and the move itself. Now comes the time to tear your wardrobe apart, dig back into the far corners, open the drawers and see which items really don’t need to be moved at all. Begin by boxing up items you know you want to keep but won’t need until you reach your final destination. Clothes that you won’t use for awhile, such as winter clothing (if you are moving in the summertime), can be packed first. If you don’t know what to do with certain belongings, set them aside for donation or plan figure it out later. After all, you are on a mission! If you can, use big wardrobe boxes. The best part about wardrobe boxes is that you can leave your clothes on hangers. This saves you from having to take each piece of clothing off its hanger, folding it and then having to hang it up all over again when you unpack. Label the boxes accordingly and tape them up well. If there is the possibility of rain or snow at either end of the move, you may want to add a layer of plastic to protect your clothes from moisture. You can use big trash bags as garment covers – think of the bags you get from the dry-cleaner, only put many hangers under each bag. Contractor bags are the best! Once the contents are packed and your wardrobe is empty, it’s time to remove any items that are not secure and have the potential to cause damage to your wardrobe if they move around in transit. If the wardrobe has glass or mirrors, they really should be removed and secured in bubble wrap or foam for extra protection. Make sure drawers and doors are battened down well to avoid opening during the move. If weight is an issue, remove them altogether if it helps to make the piece more manageable. If you decide to take the wardrobe apart, make sure you know how to put it back together! Take photos as you go and put hardware in ziploc bags that are labeled well and know where you put them! Consider making one central hardware box for all the items you need to put things back together – including the tools you will need! Put that box on the truck last so it is first off the truck. Finally, wrap up your wardrobe in moving blankets secured with cling-wrap or tape and use moving straps to further secure the wardrobe and aid in transport. After you have secured everything top to bottom, the ultimate challenge is now upon you. How do you move this big piece of furniture out of your home? If it is still in one piece, you will need a furniture dolly or some really strong friends. Figure out how you will navigate it through doorways and hallways and onto the truck. Once on the truck, make sure it is secure and not able to tip, slide or crash into things if the truck takes a sudden turn. Make sure you will have what you need at the new place to get it INTO its new home and put back together. If you’ve come to realize that this is a bigger task than you had anticipated, your best bet would be to call in the professionals. 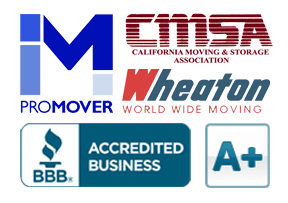 Cummings Moving Company is a full-service residential and small business moving and storage company providing local, statewide, interstate, and international relocation services in San Francisco. They can easily and safely get the job done. You’ll have peace of mind knowing that your wardrobe will make it in one piece without the tedious work involved.